For prize home winner, Mr I, the decision to support Surf Life Saving Lotteries was an easy one. From a young age, he would go to the beach on a regular basis. It was there that he stumbled across the Surf Life Savers as a kid. Supporting the charity was an easy way for him to help the lifesavers and the excellent work that they do. Friday 15th December 2017 was just a typical day for Mr I. He was at work when he received an unexpected phone call that would change his life forever. While he would not usually take personal calls at work, he decided to answer and walked over to a corner of the office so he wouldn’t disturb any colleagues. However, within a few seconds into the conversation, he had to rush to find somewhere to sit down for the news he was receiving. He was the winner of the first prize in the Surf Life Saving Lotteries draw 184. 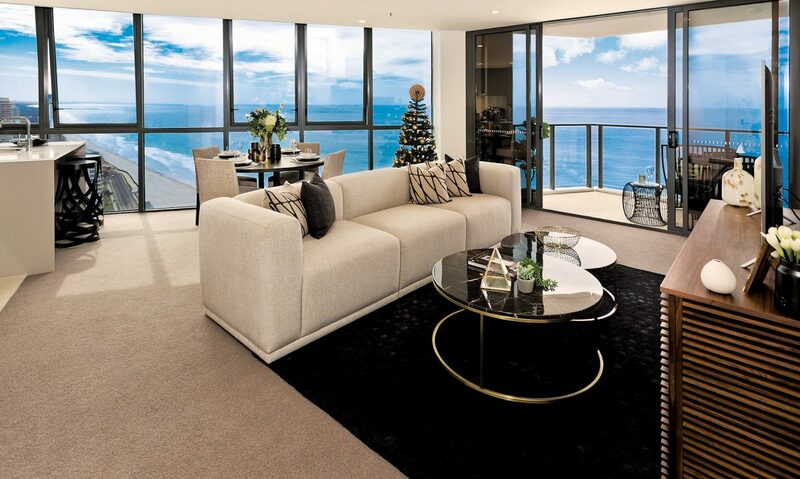 He won a luxurious beachfront apartment on the Gold Coast. Plus, an additional $50,000 gold bullion bonus prize (being a Champions Club member), bringing his total prize value to $1,187,000. “Surf Life Saving said there were some people in the room to say congratulations. I could hear all of the staff cheering over the phone. I thought this is definitely real,” Mr I recalled. While he knew that he had tickets in the prize draw, the winner never imagined he would actually win. So then receiving the news didn’t feel real, even though he knew that it was legitimate. At first, he thought the best decision would be to rent out the apartment. However, he changed his mind after seeing the place in person. Instead, he is considering entering into the holiday rental pool, so he can still collect some rental income, but he can also enjoy the place for himself when he chooses – making it a win-win situation. Surf Life Saving Lotteries Prize Home draw 188 is giving you the chance to win a $1,294,572 prize home package in Sanctuary Cove, Hope Island on the Gold Coast. The four-bedroom, two-storey contemporary home is a genuine luxury retreat. It comes fully furnished to the value of $142,000, and also includes your very own 4-seater golf buggy. What more could you ask for? How many tickets he had bought? Hi Iype! Our most popular ticket is the 20-ticket book worth $20.